RJIL or its nominees will acquire assets under four categories – Towers, Optic Fiber Cable Network (“OFC”), Spectrum and Media Convergence Nodes (“MCN”) from RCOM and its affiliates. Reliance Jio Infocomm (RJIL), a subsidiary of Reliance Industries Limited, on Thursday announced signing of a "definitive agreement" for the acquisition of specified assets of Reliance Communications (RCOM) and its affiliates. 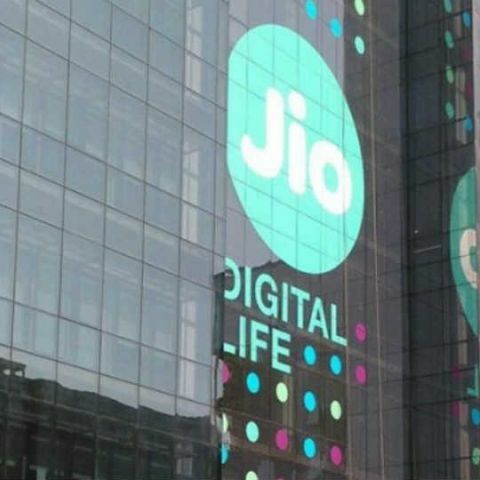 Consequent to the agreement, Jio or its nominees will acquire assets under four categories -- towers, optic fibre cable network, spectrum and media convergence nodes -- from RCOM and its affiliates, Jio said in a statement. RCOM's assets which were put up for monetisation include 122.4 MHz of 4G Spectrum in the 800/900/1800/2100 MHz bands, over 43,000 towers, around 1.78 lakh km of fibre with pan-India footprint and 248 media convergence nodes, covering five million sq ft used for hosting telecom infrastructure. "These assets are strategic in nature and are expected to contribute significantly to the large scale roll-out of wireless and fibre-to-home and enterprise services by RJIL," Jio said. In a release, RCOM said: "The company expects the transactions to close in a phased manner between January and March 2018, subject to lenders' and other applicable approvals. The Reliance Jio deal consideration comprises primarily of cash payment and includes transfer of deferred spectrum instalments payable to the Department of Telecommunication. "The company will utilise the proceeds of the monetisation of this cash deal solely for pre-payment of debt to its lenders." Reliance Group Chairman Anil Ambani had on Tuesday said the company has achieved full resolution of Reliance Communications' debt, reducing it by Rs 25,000 crore to Rs 6,000 crore by monetising assets. Saying that going forward Reliance Communications will be a business-to-business (B2B) company, he added the company achieved this debt restructuring by asset monetisation of its wireless business and selling real estate. The new company would have a debt of Rs 6,000 crore representing reduction of over 85 per cent of the total debt. An asset monetisation process for RCOM assets was mandated by the lenders of RCOM, who appointed SBI Capital Markets Limited to run the process. The process is supervised by an independent group of industry experts from banking, telecom and law. RJIL emerged as the successful bidder in the two-stage bidding process. "The acquisition is subject to receipt of requisite approvals from governmental and regulatory authorities, consents from all lenders, release of all encumbrances on the said assets and other conditions precedent. The consideration is payable at completion and is subject to adjustments as specified in the agreement," the Jio statement said. RJIL is being advised by Goldman Sachs, Citigroup Global Markets, JM Financial Private Limited, Davis Polk & Wardwell LLP, Cyril Amarchand Mangaldas, Khaitan & Co and Ernst & Young on this transaction. How to make wired printer wireless?